Donate now to protect people & the planet! 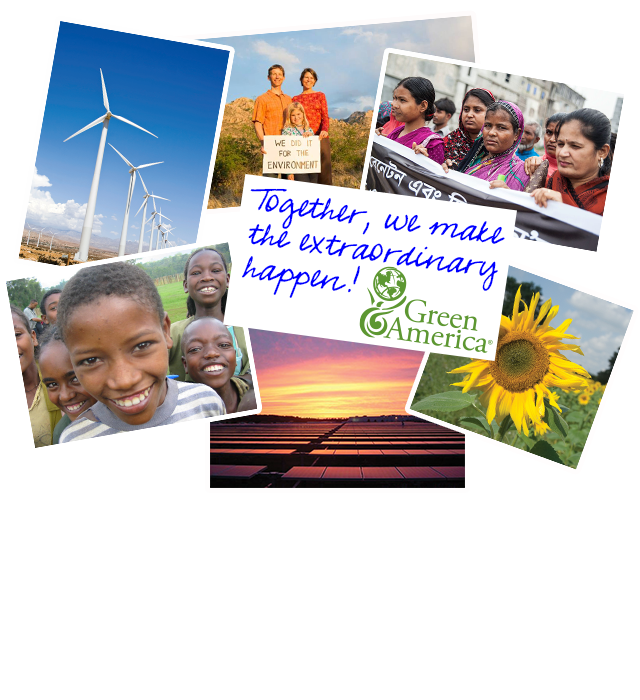 I want to make a tax-deductible donation to support Green America's work to promote social justice, environmental sustainability, and healthy communities worldwide through economic action. My billing address is the same as the mailing address.